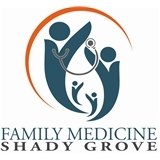 Family Medicine Shady Grove (Rockville) - Book Appointment Online! At Family Medicine Shady Grove we commit ourselves to providing exceptional quality care that our patients deserve. We understand that choosing a primary care physician is a very important decision for individuals and those with families. As your family physician we can evaluate and treat most of your medical problems and can decide when further testing or referrals are necessary. Dr. Kalra and Dr. Seem have been employed physicians for over last 12 years and finally decided to start their own practice so they could spend more time with patients, provide more counselling if needed, and fulfill their goal of being more accessible to their own patients. We provide a wide range of services for patients of all ages. Same day appointments are available for acute visits, physicals and/or walk-ins with urgent needs. We welcome you to our practice and look forward to providing you care. Really nice and helpful doctor.